Styled in a high-gloss finish, the Luthier Series C10CD from Cordoba is a nylon-string classical guitar, which combines the full, warm, and responsive tone of a Canadian cedar top with Indian rosewood for the back and sides. This construction imparts a lush, rich timbre, and tight low-end response to the instrument. 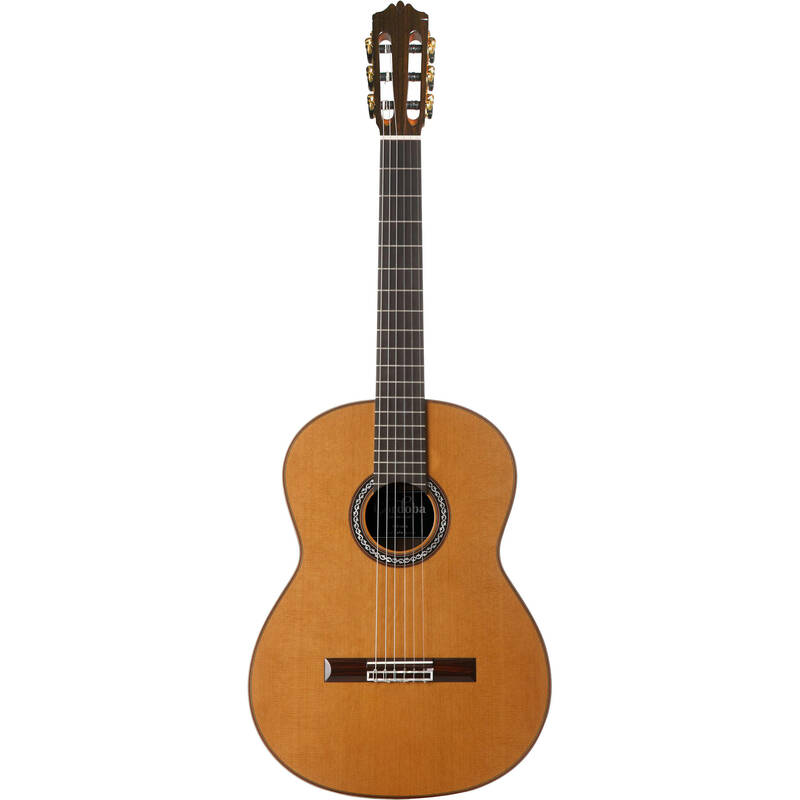 As such, this iteration of the C10 will tend to have a more full-bodied and rounded sound over its counterpart—the C10SP, which sports a European spruce top. The instrument’s mahogany neck, measuring 25.6” in scale, is outfitted with an ebony fingerboard and set to the neck in a Spanish heel joint. 19 frets are provided in total with side-position inlays at the fifth, seventh, and ninth fret for easier visual orientation. The 4mm truss rod accessible for ensuring your neck stays straight, and a bone nut has been employed to bolster sustain and resonance on open strings. Aesthetic touches abound, such as six-ply colored-wood top purfling, three-ply maple and ebony back-and-side purfling, and Indian rosewood binding. A rosewood bridge affixes strings to the body, while at the headstock, Cordoba Premium Gold Tuning Machines with black, ebony-style buttons have been employed. These tuning machines sport a gear ratio of 14:1 for precise tuning, giving you a string-roller spacing of 35mm. A Cordoba Polyfoam Case is included with the instrument to help your instrument stay protected from harsh interior conditions when not in use. Box Dimensions (LxWxH) 46.3 x 18.3 x 7.4"
Where are these guitars made, which country? Asked by: Alok Ranjan S.